feet of me, swam by me so carefully and looked right into my eyes. My heart opened as it never had before and I was carried into bliss. We are now able to offer such an experience to you on this retreat to Tahiti. Heart opening experiences that cannot be put into words. At this time of great transformation on the Earth Plane it is vital that we reconnect to our Divine Self and take back control of our destiny using our own powers of Creation. 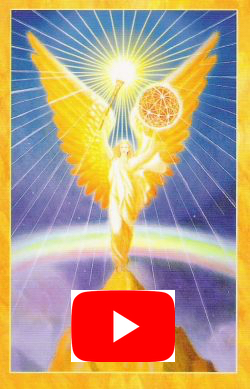 In this message Archangel Sandalphon guides us through a process of reconnection to our Divine Self through the activation of the Soul Star chakra above the head. We then bring this energy down into the body to activate the Earth Star chakra beneath the feet to connect with the consciousness of Mother Earth. From this place we can begin to align our consciousness with Gaia and the Ascending Earth and move with ease into the new frequencies which are lifting the earth back into the light. Copyright © Charmian Redwood 2019*, All rights reserved. Step into the Ascension Flame and release all of the negativity which is preventing you from ascending into the light. We are carrying old memories from our long journey through density and it is time to raise our vibration and return to the light. Copyright © *Charmian Redwood 2018, All rights reserved. Charmian offers private sessions of Hypnotherapy For The Soul where you experience yourself as soul and receive guidance about whatever life issues you choose. 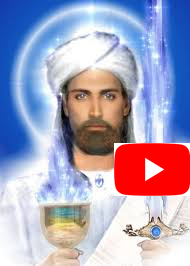 Master El Morya offers an activation with the blue flame of Divine Will for us to release our cellular memories of the abuse of power and align with our own Divine Self which has all the powers of creation. We have all been either victims or perpetrators of the abuse of power over others and this prevents us from claiming our power as it is meant to be used under Divine Will. This guided activation gives you the opportunity to release the past and to align your personal will with the will your own Divine Essence. A powerful activation will be taking place globally on Sunday. These last weeks have been a preparation as we have been given divine opportunities to address our wounding. 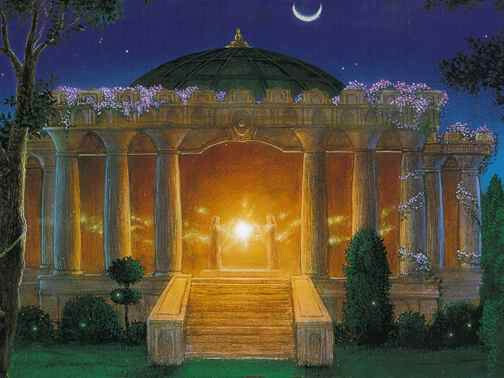 There will be an activation of the Ascension frequency as one of the gates of the New Jerusalem opens. This is the blueprint for the ascended earth. Take this opportunity to make a vision board or a statement of intention for what you would like to bring into your life as a reflection of your Divine Self. This portal will amplify your intentions so at 11.11 am or pm do a ceremony for yourself stating your intention. Lady Venus guides us into the Temple of Love on Venus to activate our heart flame. We all carry wounds from our early life and past lives which sit in our energy body causing anxiety, fear, grief and disease. As you enter the Flame of Love on Venus all of these old programs and memories are released from your emotional, physical and mental bodies leaving you free to be the love that you are. 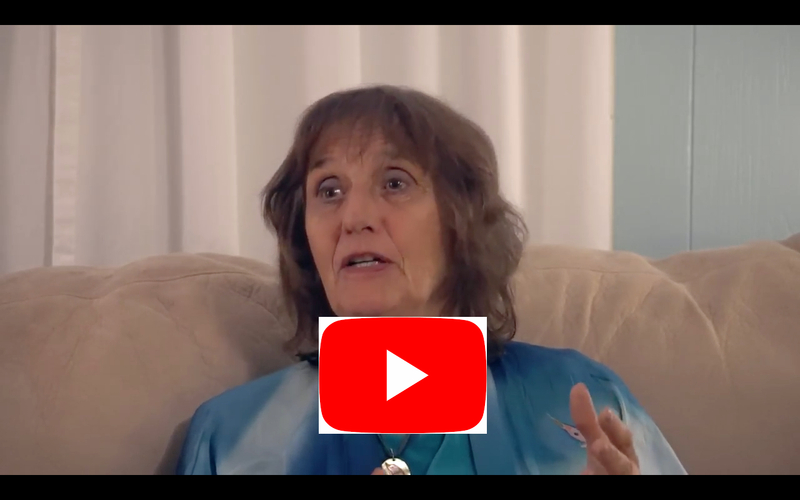 Charmian offers individual sessions of Talking to your Soul Hypnotherapy to find out who you are and what is blocking you. Sanat Kumara, Ascended Master and World Teacher, calls forth the 144,000 who once brought the Eternal Flame of the Christ Consciousness to the Earth to step forward now to restore that Flame. via Sanat Kumara, Ascended Master and World Teacher, calls forth the 144,000 who once brought the Eternal Flame of the Christ Consciousness to the Earth to step forward now to restore that Flame.